Professor Ariens has taught at St. Mary's since 1987, concentrating in the areas of constitutional law, American legal history, evidence, and the American legal profession. He is the author of Lone Star Law: A Legal History of Texas (2011), which received several awards, and is the author of several other books. 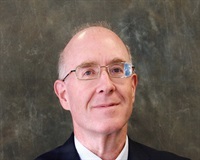 He has written a number of law review articles on a wide variety of topics. He is currently working on a book on the history of American legal ethics. He is also engaged in research on issues of religious liberty in the United States. He regularly speaks to bar associations on issues of ethics, and is often quoted on issues of constitutional law, legal ethics and governmental ethics. He served for over ten years as a member of the Ethics Review Board on the City of San Antonio.